Gerald "Jerry" L. Walter, age 78 of Grand Haven, passed away Saturday, January 12, 2019 at Mercy Hospital in Muskegon. He was born October 27, 1940 to Clifford and Lucile (Dies) Walter in Akron, Ohio. Jerry attended St. Vincent High School, and then received a degree from Kent State University. On February 10, 1984, he married Patricia Mielke. She was able to be his care-giver at home for an extended period of time, prior to his passing. Jerry was retired from the sales department of Reliance Electric, which later became Rockwell Automation. He had a passion for freighters and was the author of the "Ships Log” column, published in the tribune for many years. Jerry was proud of this community and served on several advisory committees, including the Airport Advisory board. He and Pat enjoyed traveling, and spent an extended amount of time in Mexico during the winter months, where many of their friends reside. They traveled by RV to all 48 states and the Baja Peninsula. 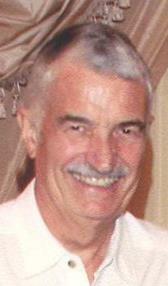 Jerry was avid reader and also enjoyed watching movies, and spending time with his seven grandchildren. Jerry is survived by his loving wife of 34 years Patricia, and children; Ann (Maury) Walter-Ball, Eileen Nykamp, Karin Samuelson, Tim (DeAnn) Walter, John (Fendy) Walter, and James (Cindy) Samuelson; grandchildren, Nicole, Megan, Katie, Emily, Heather, Tyler, and Erika; great-grandchildren, Adalyn Rose and Zayden; sister, Luanne (Frank) Evans; brother, Tom (Peggy) Walter; brother-in law; Bob (Avery Grace) Mielke; son-in-law, Don Shafer; and several nieces, nephews, and dear friends. Jerry was preceded in death by his daughter, Mary Walter-Shafer; brother, Edward Walter; both parents Lucile and Clifford Walter; and brother-in-law, Donald Mielke. Thanks to the great care given to Jerry by his caregivers; Janine, Olivia, Rachael, and many others from Peace at Home. The Memorial Service will be at 11 a.m. on Saturday, January 26, 2019 at St. John’s Episcopal Church, 524 Washington Ave., Grand Haven. The Rev. Dr. Jared C. Cramer will be officiating.